Climate change, however, has thrown that relationship out of whack. At least, that is for one population of bees and flowers. Certain flowers in Colorado have become scarcer. That's due to warming temperatures. 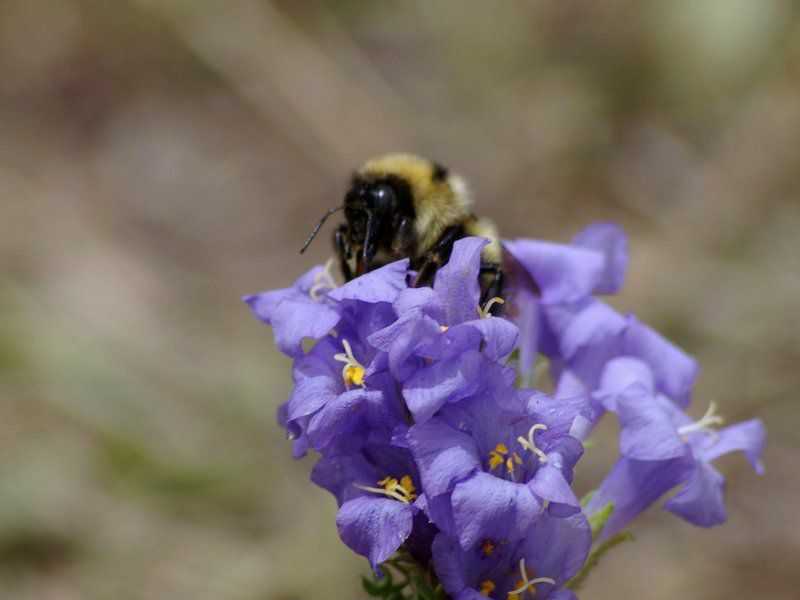 So the tongues of the alpine bumblebees that historically fed on them have become shorter. The researchers examined bumblebee specimens. Some were collected on three mountains from 1966 to 1980. The team also gathered a fresh set. These were collected in the same places from 2012 to 2014. Suspecting that the relationship between bees and their favorite flowers might be involved, they performed the meticulous task of measuring all the historic and recently caught bees' tongues. The team set up sampling plots along different mountain gradients. These were to estimate flower productivity. The team wanted to compare it to past values. The team found that in response to warmer temperatures, flowers -- particularly ones with deep petal tubes -- have been moving up the mountains. They are becoming scarcer at lower elevations. Surface area decreases as mountains taper off toward their peaks. That means this altitude-climbing effect has ultimately resulted in an estimated loss of millions of flowers. This is very interesting because I guess it makes sense. The fall is beginning and there aren't very many flowers. Wow that's strange how can climate changes make the bees tongue shrink! I found that interesting even though i don't like bees wasps etc. but i hope the bees can change to get used to this! Bumble Bee's tounges are shrinking. How? Why? In my opinion, this is a pretty weird problem. Types of flowers may become extinct. Other types may invade. I wonder what will happen? I think that this is very weird but cool. I find it weird that things like this actualy happen. I don't know how I would measure a bumblebee's tongue. I would have never thought that a bees tongue could grow. It's crazy. If you check a bunch of bees in a microscope or magnifying glass and they all have smaller tounges they are probably getting smaller. Wow, I would've never known that if I didn't read this. I think that is cool. Some bee tongues are perfectly evolved to tap into the nectar and pollen of certain flowers. At least, that is for one population of bees and flowers. Suspecting that the relationship between bees and their favorite flowers might be involved, they performed the meticulous task of measuring all the historic and recently caught bees' tongues. Cumulatively, the team found a nearly 25-percent decrease in tongue length between the bees collected decades ago and those living in the same region today. The team found that in response to warmer temperatures, flowers - particularly ones with deep petal tubes - have been moving up the mountains. 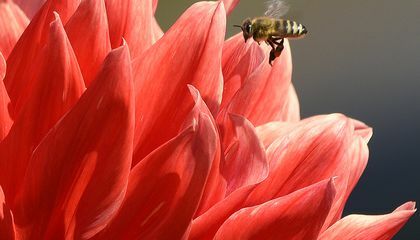 Competition with generalist species, more time and energy needed to collect enough pollen and a forced reliance on suboptimal resources all likely contributed to the bees' overall decline. As the authors write, for now, at least, "Evolution is helping wild bees keep pace with climate change." I did not know that bees had tongues in the first place so this is really cool to me.